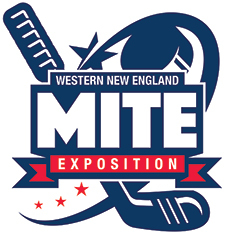 The Doubletree is holding 50 rooms under Western New England Mite Exposition. Teams are to call 860-627-5171 and ask for Dawn in the Sales Office. The room rate is $129 plus tax. Since this is the Big E timeframe, teams are encouraged to call early to reserve. On August 28th, the rooms will be released back into inventory. The rooms will then be based on hotel availability. Free parking, free Wifi and an indoor heated pool is offered. The Holiday Inn Express & Suites in Westfield, MA has a 2 night minimum in place for the weekend of the tournament (all rooms must be booked for 2 or more nights), and all rooms must be booked 30 days prior to arrival in order to receive group rate. They can hold 15 rooms in the block at a time. Group rates are as follows: $139.00 plus tax for a standard double or king rooms, and $149.00 plus tax for suites (suites have 2 queen beds and a pull out sofa, mini fridge, and microwave). All stays come with a free full hot continental breakfast each morning as well.